With a single power unit and many different attachments, it is easy to see why the EGO Power+ multi tool system is a very handy tool to have around. The simple and secure tool-free coupling makes switching attachments quick, easy and safe. Combined with EGO's innovative Arc lithium 56 volt battery supplying all the power you need, you can breeze through a variety of jobs without the fuss or fumes and with less noise than traditional petrol-powered tools. The battery-powered range comprises a power unit with short and long reach hedge trimmer, pole saw, line trimmer, brush cutter, edger and cultivator attachments. Plus the extension pole gives you the reach to tackle greater heights. 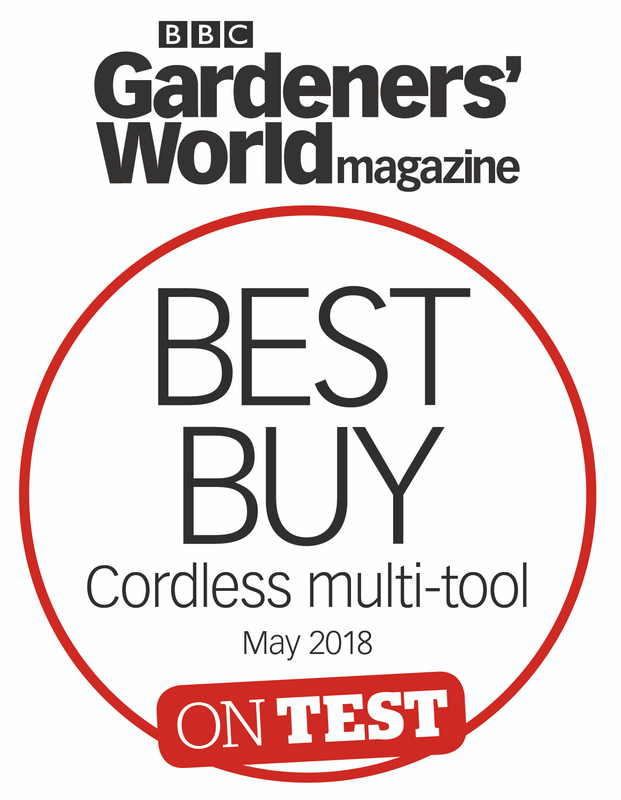 BBC Gardeners' World Magazine voted EGO Power+ BEST BUY cordless multi tool in May 2018.